This innovative book breaks new ground in visual studies with its specific exploration of the visual dimensions of gender. Explores visual genders through material ranging from documentary film footage of liberated concentration camps after World War II to contemporary fashion photography in Tehran. Chapters are organised conceptually under themes of documenting, trafficking and experimenting. A diverse selection of exceptional and provocative images accompanies the text. Patricia Hayes studied in Zimbabwe and the UK, and now works at the University of the Western Cape in South Africa. She teaches African history, gender history and visual history. Jointly edited previous publications include Namibia under South African Rule (1998), The Colonising Camera: Photographs in the Making of Namibian History (1998) and Deep Histories: Gender & Colonialism in Southern Africa (2002). She is currently investigating photographic practices in recent southern African history. 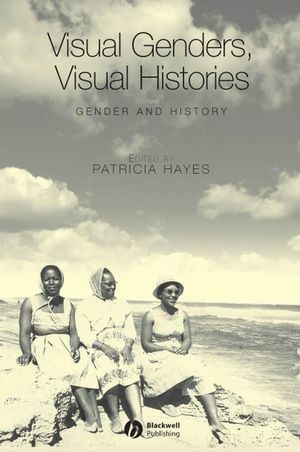 Introduction: Visual Genders: Patricia Hayes. Does Gender Matter? Filmic Representations of the Liberated Nazi Concentration Camps, 1945-46: Ulrike Weckel. Images of Poor but Virtuous Women: Morality, Gender and Power in Argentina between the World Wars: María Fernanda Lorenzo, Ana Lía Rey and Cecilia Tossounian. The General View and Beyond: From Slum-yard to Township in Ellen Hellman’s Photographs of Women and the African Familial: Marijke Du Toit. Racialising the Virile Body: Eadweard Muybridge’s Locomotion Studies, 1883-1887: Elspeth H. Brown. History, Memory and Trauma in Photography of the ‘Tondues’: Visuality of the Vichy Past through the Silent Image of Women: Alison M. Moore. A Glance into the Camera: Gendered Visions of Historical Photographs in Kaoko (North-Western Namibia): Lorena Rizzo. Decoration and Desire in the Watts Chapel, Compton: Narratives of Gender, Class and Colonialism: Elaine Cheasley Paterson. Faces and Bodies: Gendered Modernity and Fashion Photography in Tehran: Alec H. Balasescu. Arne Svenson’s Queer Taxonomy: Elizabeth Birdsall. The Temperance Temple and Architectural Representation in Late Nineteenth Century Chicago: Paula Young Lee. There’s Something about Mary Wigman: The Woman Dancer as Subject in German Expressionist Art: Susan Laikin Funkenstein. An innovative collection of essays exploring the visual dimensions of gender. Breaks new ground by foregrounding gender in visual studies.